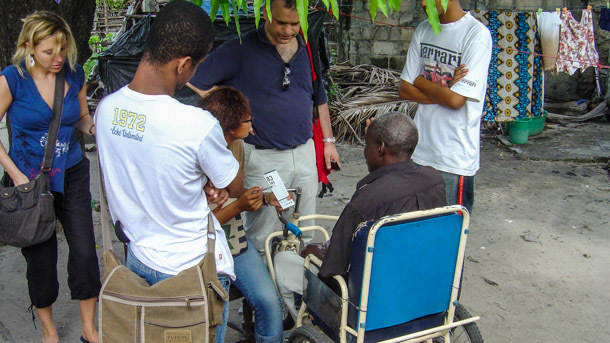 Deploying volunteer medical teams to selected regions and countries for the purpose of sharing medical knowledge. This can include providing local fellowship programs. Assisting local medical professionals in the development of scientific research facilities and programs. Organising training courses and workshops for medical professionals worldwide. Giving advice on and setting up of infrastructural facilities for scientific medical research and medical education in selected regions and countries. Providing assistance to medical professionals in developing countries in order to improve and modernise their medical facilities and infrastructure. In selected cases funds are provided for short study trips abroad. WAMA prefers working in an assisting role. This means that we strongly encourage initiatives addressing knowledge transfer deriving from resource poor countries. WAMA aims to stimulate local medical professionals to put their acquired knowledge and skill into practice. The existence of basic infrastructural facilities is essential to reaching this goal. WAMA is convinced that a successful local implementation of acquired knowledge and skill requires a relatively stable political situation. The socio-political context should provide ample opportunity for new developments in local medical practices.